Has your December already been as crazy as mine has? Hoo boy! Also I hope you had a wonderful Thanksgiving! It's been a while since I visited the parents so they had a few dolly finds to give me. I love that! The first adorable doll we have is "Minnow". 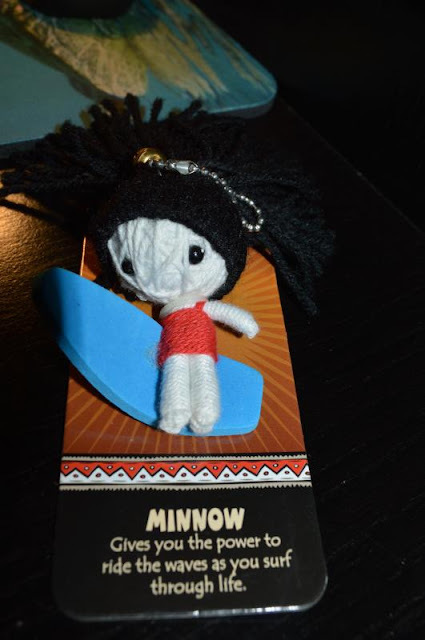 Minnow "gives you the power to ride the waves as you surf through life." 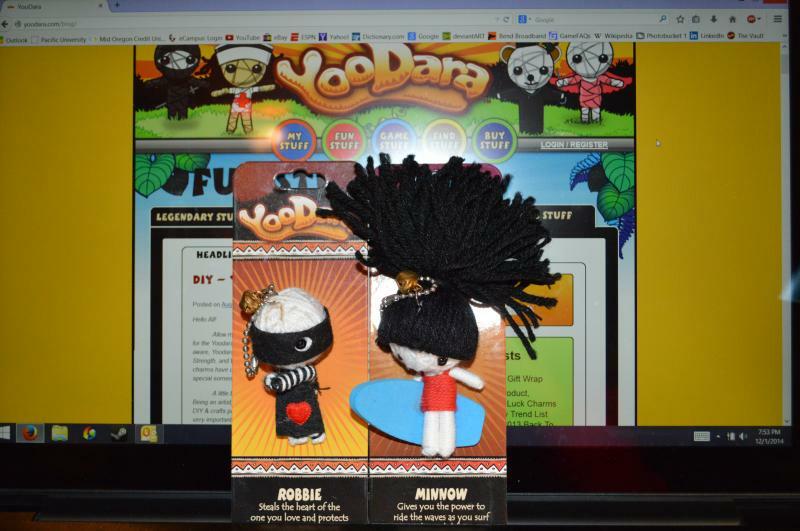 My parents know I LOVE surfing so this little cutie holding a surfboard definitely went into the shopping bag. 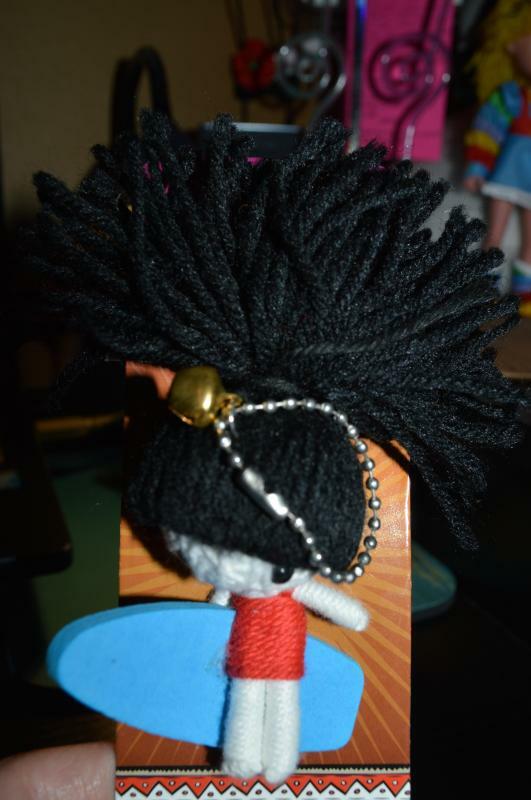 Man, she has some kind of crazy hair! Love! Next we have "Robbie." 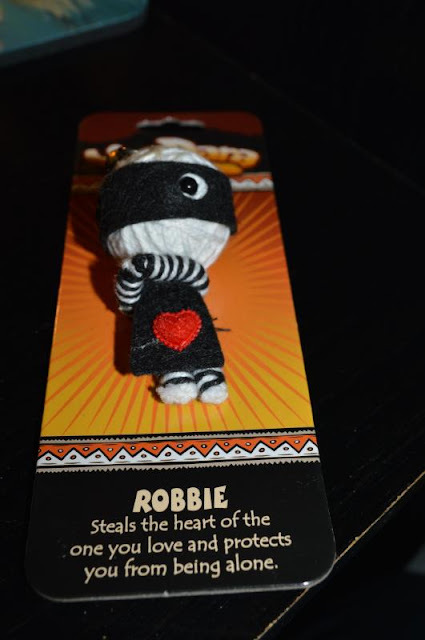 Robbie "steals the heart of the one you love and protects you from being alone." I love the little eyes with the mask. So cute! There are so many characters and all of them are so adorable. You can read about their story and check them out at www.yoodara.com. 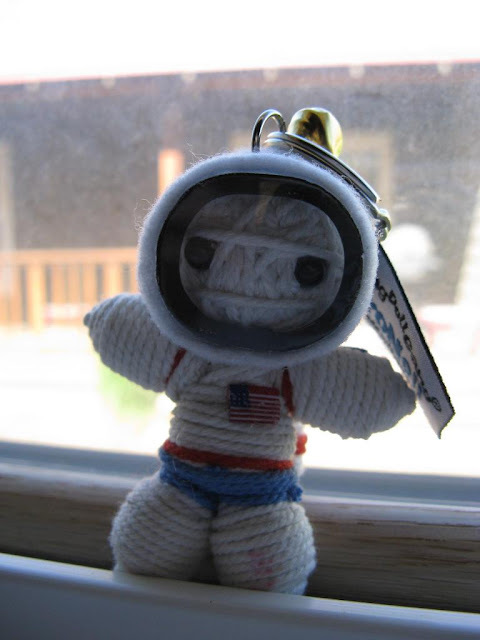 These adorable string dolls remind me of my little Astroneil that I got not too long ago. Remember this guy? So friends, what do you think of these little string cuties? Do you have any? Let me know in the comments! 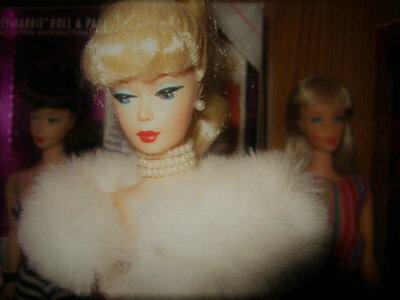 Next time, more fabulous dolly finds. 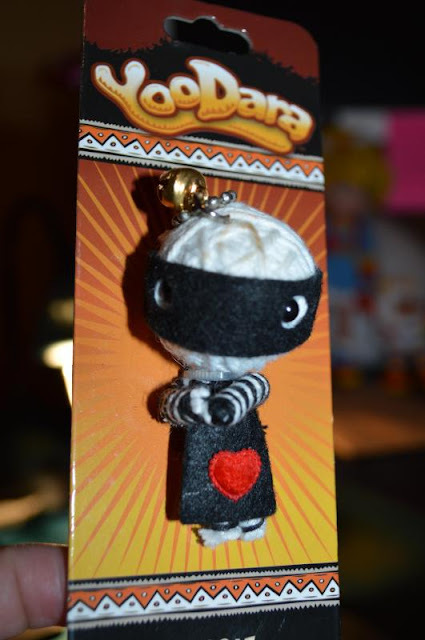 I never saw anything close to them in our stores, they are cute. My favorite would be Robbie. He is really a cutie with his mask. Well, my December was not too busy, but I almost forgot to stuff my kids shoes with goodies on Saint Nicholas yesterday. But I was lucky as I got an accidentally reminder from friends, lol. I love Robbie. So cute. I just loved "he steals the heart of the one you love." adorable!